Make your garage space a place to give thanks this holiday season and transform it into a welcoming area for those in your community to gather on Thanksgiving. Discover a few ways that you can transform your garage into the location that gives back this year. Serve your Thanksgiving meal in a different room in your house this year by setting up a dining area in your garage. You can do this by putting couches and chairs in the garage to create an additional place for your guests to socialize. However, this time of year is typically chilly in Illinois so it may be wise to invest in some space heaters and blankets to ensure that your guests are nice and warm while waiting for their meal to be served. You can choose to host Thanksgiving in your garage for just your family or you can invite a few members of your community a week or so before Thanksgiving to give thanks to your neighbors. Have an arts and crafts day for the kids in your neighborhood to come and decorate their own artwork to give to their loved ones as a sign thankfulness. They are can create cards, paintings, or even transform leftover pumpkins from Halloween into a turkey or an owl to use a centerpiece for the table this holiday season. It is important to remember to give back to those who may not have a family or friend’s house to go to on Thanksgiving. Making your garage a place where those who are less fortunate can come eat a hot meal and stay warm is one way to give back your community. Many enjoy watching football on Thanksgiving and setting up a TV for those who choose to watch the games in your garage is another way to bring joy to the community this holiday season. Whether you are going to transform your garage into a community gathering or create a more intimate setting for just your family, these are a few ideas to make your garage the center of your holiday fun this holiday season. 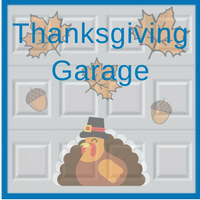 Show that you are thankful this year by giving back and transforming your garage space to share with others. 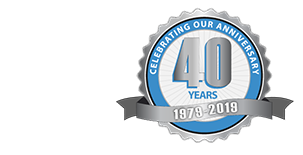 Contact Blue Sky Builders by visiting our website or call us at (630) 852-8485. Our talented team of garage experts can assist you with anything you need.